Bual, Harman (2018) "Native American Rights & Adoption by Non-Indian Families: The Manipulation and Distortion of Public Opinion to Overthrow ICWA," American Indian Law Journal: Vol. 6 : Iss. 2 , Article 6. To overcome these issues, it is necessary that both legislators and ICWA supporters find a common ground where the agencies responsible for determining a child’s membership status are able to do so in a timely manner and hold foster families and Indian families accountable if they fail to follow reunification plans set by these state agencies. This perception has been further manipulated within the media by ICWA opposition in an effort to dismantle ICWA. To combat improper application of ICWA it is necessary that clarification of ICWA is provided to state child welfare workers, adoption agencies, judges, and society. Media uses the emotional pull within ICWA adoption cases between Indian tribes and non-Indian adoptive families to undermine the protection given to tribes under ICWA and limit tribal rights. Proper application of ICWA would prevent many of the cases being reported on by news media because many years of litigation would be avoided. And most importantly, the Indian child developing ties to a family the child should not have legally been placed with could be prevented because many years of litigation would be avoided. And most importantly, the Indian child developing ties to a family the child should not have legally been placed with could be prevented. 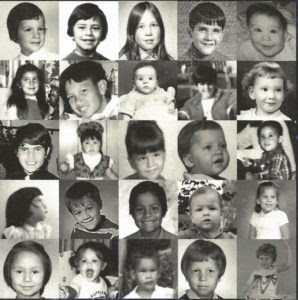 Use the search bar on this blog to find #ICWA and stories about lost children of the Indian Adoption Projects and Programs and 60s Scoop... Thousands of children were stolen by the govt's of Canada and the US and adopted out - this blog is about survivors.